Hedgehog Hill has been recently renovated throughout. Everybody is welcome at Hedgehog Hill guest house. All of our rooms and ensuites have recently been upgraded to a high standard with contemporary and stylish decor. All rooms have fell views. 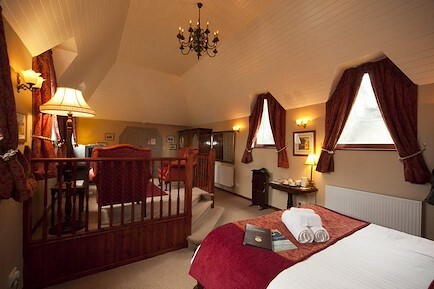 Our new room 1 attic room on the top floor is now open and has an incredible panoramic view of Skiddaw and Latrigg. It also has a view of Catbells fell at the rear. Please see our website for the full details and views. Please also note that as room 1 is situated at the top of the property its stairs are narrow and steep. Therefore, it may not be suitable for guests who may be less mobile. Freshly cooked hot breakfast to order or pancakes with maple syrup, fresh strawberries and blueberries. A freshly made fruit salad as well as a choice of cereals, yoghurts and porridge. All diets catered are for and high quality, locally sourced ingredients used. We are a three minute walk from the town centre which has a wide choice of pubs, restaurants, tea/coffee shops and an variety of shops. The Theatre by the Lake, cinema and Lake Derwentwater are only a few minutes walk away. Free Wi Fi access and tea/coffee making facilities in all rooms. Cyclists are welcome with secure bike storage available. Minimum age for children 12 years. We are confident you will love your stay at Hedgehog Hill. For further info please look us up on Tripadvisor, Facebook, Instagram or Twitter. Approaching Keswick town centre from the East / South (A66, M6, A591) Pass “Twa Dogs” PH. On left. A little further on after passing under old railway bridge, turn left at “Millfield” into Blencathra Street which then turns sharp right after a short distance, Hedgehog Hill is approx 300yds/metres down the street on the left. On street parking. Your enquiry will be sent directly to Hedgehog Hill. Please fill in as much detail as you can.